"A practical approach to strike a balance between biodiversity conservation and protecting people’s interest is being worked out under the proposed Tun Mustapha Marine Park. Accusation by the opposition that the government would take the people's lands once the marine park was gazetted has been rebutted by the State Special Task Minister, Datuk Teo Chee Kang. Teo, who is the Tanjung Kapor assemblyman from Kudat told that Sabah Parks, and research groups are still gathering data and in dialogue with stakeholders and the local communities. The state government is working hard to find a win-win situation to ensure traditional fishermen could continue their livelihood and at the same time be able to protect the eco-system. 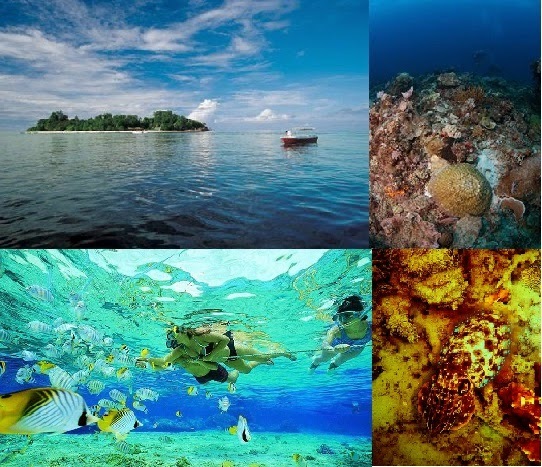 Tun Mustapha Marine Park is a proposed park that comes under Coral Triangle Initiative where it aimed at strict protection for certain areas, tourism, traditional fishing and commercial fishing at the 1.02 million hectare park. Coral Triangle Initiative (CTI) is a multilateral partnership of six countries; Indonesia, Malaysia, Papua New Guinea, the Philippines, Solomon Islands and Timor Leste that was signed in Manado, Indonesia in 2009. They are committed to cooperate on five goals involving seascapes, ecosystem approach to fisheries management, marine protected areas, adaptation to climate change, and threatened species. CTI is led by the Ministry of Science, Technology and Innovation and according to Sabah Chief Minister, Datuk Seri Panglima Musa Haji Aman, CTI represented the highest diversity of marine life and the total monetary value in terms of fisheries, tourism and related activities may come up to US$2.3 billion yearly. In order to sustain the development of marine resources within the CTI, an accredited body to manage and develop marine resources or Global Biodiversity Hub (GBH) has been established in Sabah and would be monitored by a management board from key stakeholder groups. GBH is a project under Economic Transformation Programme Chapter 10, with the roles to reach the fishermen community as well as improve the livelihoods of farmers. The hub is led by the Ministry of Natural Resources and Environment and the hub is expected to generate a gross national income of RM1.5 billion with 2,900 new jobs created. There were so much efforts have been done over the years in developing related programmes in Tun Mustapha Marine Park. Even though there were some "hiccups", efforts need to be continued especially in terms of research, governance, enforcement, awareness and capacity building, as well as strengthening private-public partnerships. People should not be misled by false accusations as the state government is indeed concerned over the people and the eco-system. A win-win situation was the always the preference from the beginning.